First lady Melania Trump’s unannounced visit to McAllen, Texas to visit immigrant children in a detention center was meant to send a message that she cares. “There was no hidden message. After today's important visit to Texas, I hope this isn't what the media is going to choose to focus on,” Grisham said. The first lady removed the jacket before landing in McAllen – but then wore it again upon her return at Joint Base Andrews. Back at the White House, President Donald Trump seemed to contradict the first lady's spokesperson by saying the jacket was indeed meant to send a message – to the media. 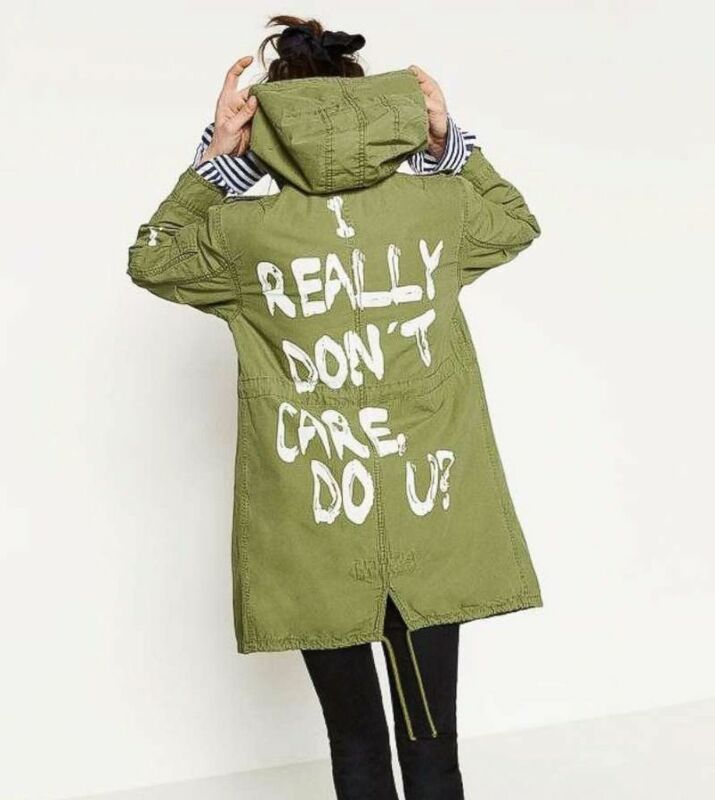 "I REALLY DON’T CARE, DO U?” written on the back of Melania’s jacket, refers to the Fake News Media. Melania has learned how dishonest they are, and she truly no longer cares!" Trump tweeted. A model wears a jacket from Zara that reads, "I really don't care, do u?" Grisham told reporters on the trip that the visit was the first lady’s idea, and she planned the visit before the president signed his executive order. It's not the first time the first lady's fashion choices got one foot in front of her. A decision to wear high-heeled pumps as she headed to visit Hurricane Harvey victims in Houston was met with a backlash, although she later changed into sneakers. "It’s sad that we have an active and ongoing natural disaster in Texas, and people are worried about her shoes," Grisham said. She referenced the incident in a statement sent to reporters Thursday.